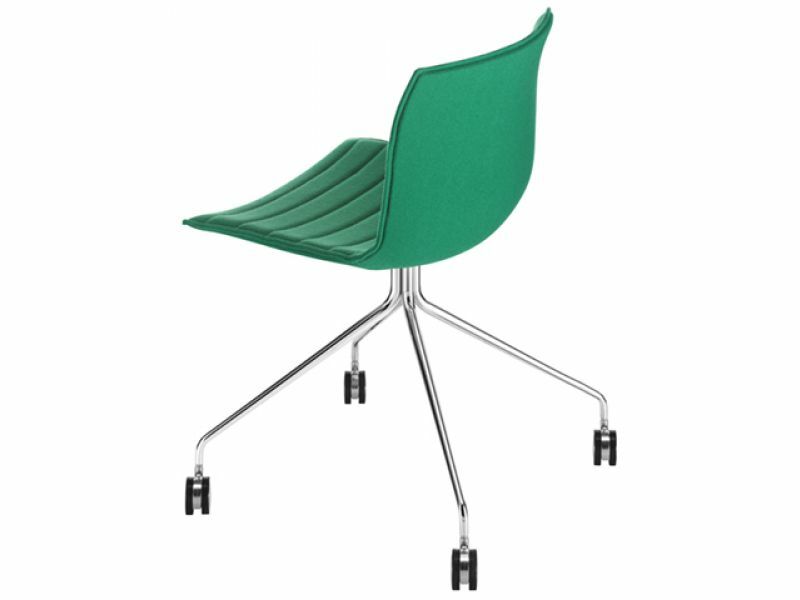 Design by Lievore Altherr Molina for Arper. Created in 2001, Catifa has evolved into a complete seating system. With its unmistakable, innovative design, this versatile range adapts beautifully to any number of uses and settings: at home, in the office, in restaurants or hotels. The Catifa collection offers a wide choice of materials and colours. 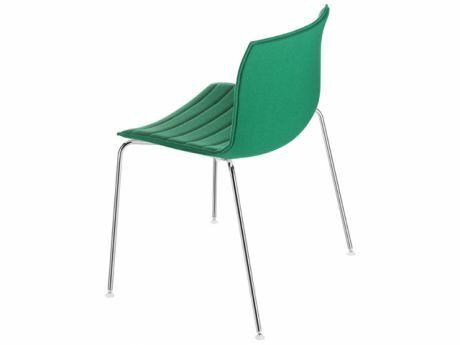 Shell in double-curved plywood, mono- or bi-colour polypropylene using Arper�s exclusive patented �Color Bi� process. The shell can be upholstered in leather, �faux� leather or fabric, or covered in hide or suede. The base comes in chrome-finish steel, satin-finish stainless steel or aluminium and is available in a number of options: 4-leg, trestle with or without wheels, sled or five-star. Since it first appeared on the international design scene in 2001, Catifa 53 has continued to evolve without ever losing its original refined, sinuous style. A collection that provides scope for numerous style and customisation solutions. 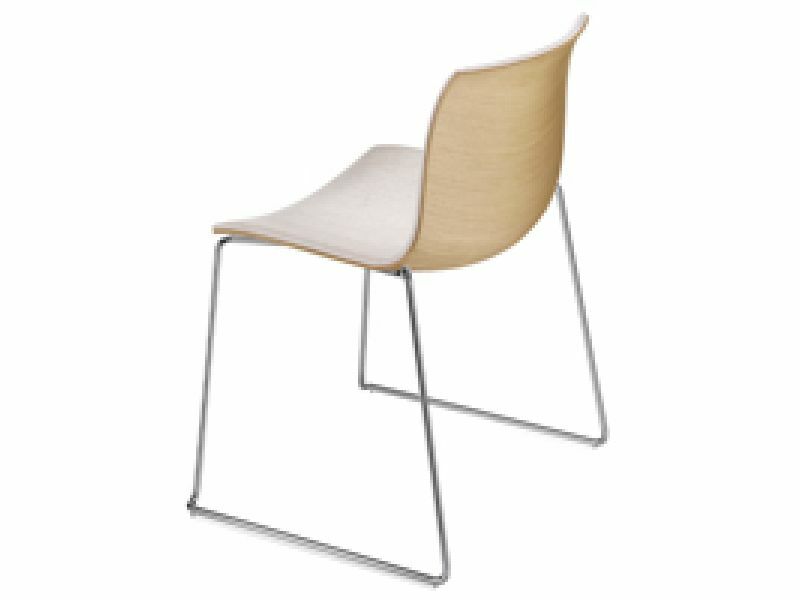 Catifa 53 is now even more unique thanks to the new versions designed especially for the range: �front face colour� shell using the �Color Bi� process, legs in wood, sled and cantilever base. A perfect balance of design and ergonomics, Catifa 60 lounge offers a new sled version in steel for the low-backed model. Leathers & fabrics in various colours. Customer\\\'s own fabric or leather possible. Polypropylene in single or two-tone colours.